A rich and complex monograph on the unique work of Tony Conrad (1940-2016), a polymath whose work ranged from experimental cinema to rock music, through radical painting and public access television. 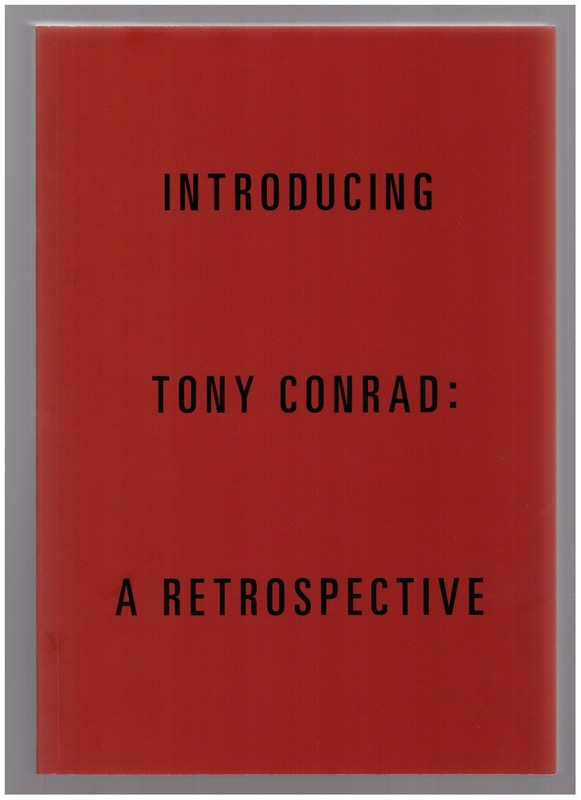 Published on the occasion of the first large-scale museum survey devoted to works Tony Conrad presented in museum and gallery settings, this catalogue gathers archive, documents and photographs, as well as new texts and some of the artist’s own writings about selected works, dating from 1966 to 2016. The book gathers comprehensive documentation about projects such as the movie Beholden to Victory (1980); the talk Paul Sharits: Prescription and Collapsed Temporality (1976); or the Invented Acoustical Tools; as well as in-depth essays about the context of Conrad’s work, and also about his approach to pedagogy. P.S. Should we mention that, amongst the numerous texts by artists that deal with Tony Conrad’s lasting influence on the contemporary art scene, Christopher Williams’s contribution is titled, “Geriatric Realism”? With contributions by Rachel Adams, Vera Alemani, Constance DeJong, Diedrich Diederichsen, Anthony Elms, David Grubbs, Henriette Huldisch, Branden W. Joseph, Andrew Lampert, Christopher Müller, Annie Ochmanek, Tony Oursler, Mike Kelley, Tina Rivers Ryan, Jay Sanders, Paige Sarlin, Christopher Williams.